Campaign season's in full swing. But in many districts across Missouri and Kansas this year, there are no vicious ads, no hot controversies — because there's only one candidate. What's it like to run unopposed, and what effect does that have on our communities? 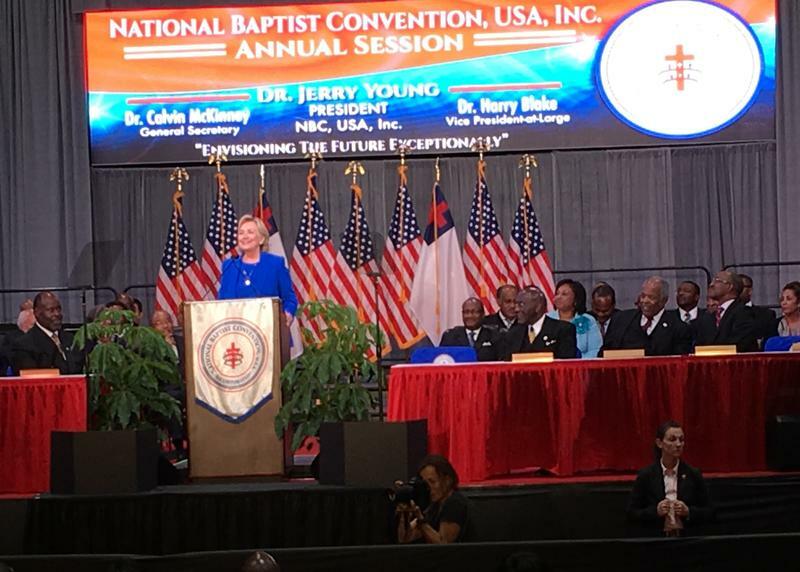 Hillary Clinton brought her campaign for president to the National Baptist Convention USA in Kansas City, Missouri, on Thursday. The Democratic nominee used gospel verses and personal stories to distinguish herself from Donald Trump. People attending the convention are almost entirely African-American, conservative, middle-aged and dressed to the nines. In her address, Clinton, a life-long Methodist, quoted scripture to knowing smiles and nods. Some audience members even recited lines along with her.